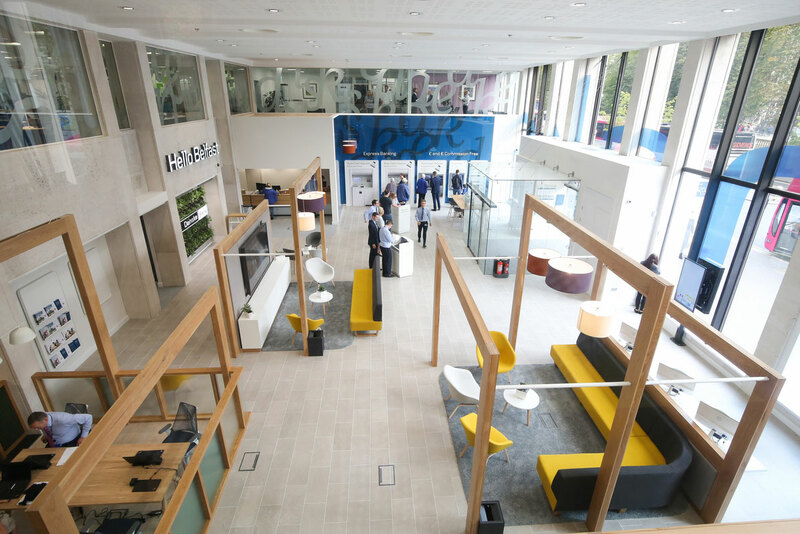 I-AM worked with Danske Bank to design their spectacular flagship branch in Belfast and a specially-designed co-working space which sits alongside it and caters for early stage technology companies operating in the financial services sector. 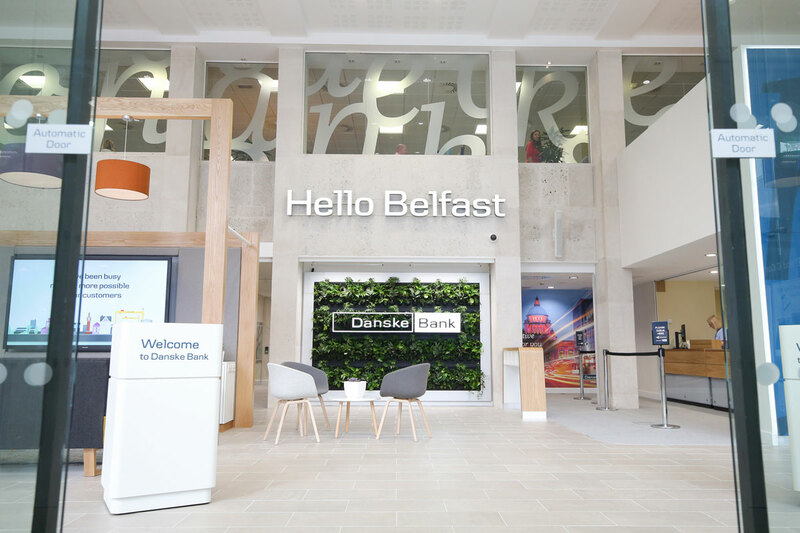 With the aim of “Making more possible” I-AM helped Danske Bank in creating a progressive, showcase destination over 895 square metres that will cater for banking customers and local businesses as well as fintech start-ups. The location on Donegall Square West in the heart of the city, has been conceptualised as a modern yet friendly multi-functional experience that empowers customers to access personal service and information easily, in an environment that is welcoming, inspiring and spacious. Across a longstanding relationship since 2013, I-AM has worked with Danske Bank in Northern Ireland on a new concept design and rollout strategy for their core branch experiences – with the latest flagship that includes an evolved & upgraded version of the established design in the branch section. 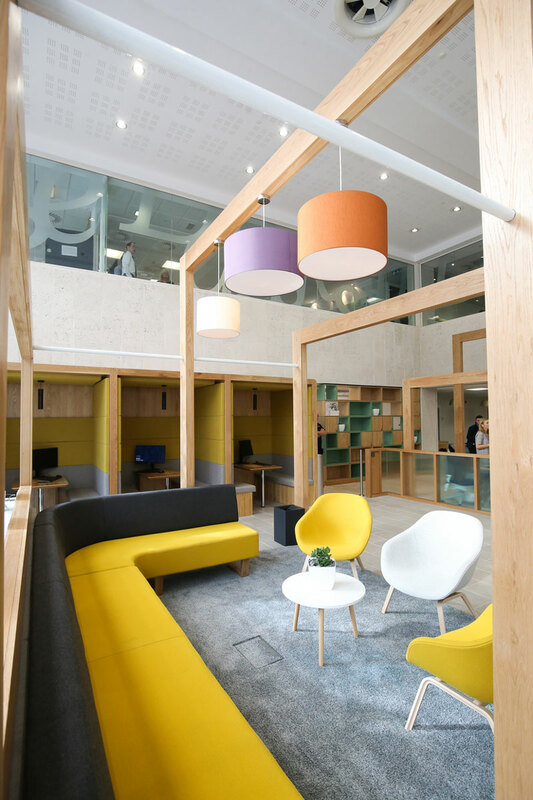 The focus of the brief for the co-working space was on developing modern features from co-working spaces, cafes and integrating technology that embraces the future of banking. Danske Bank is the trading name of Northern Bank Ltd, one of the largest banks in Northern Ireland and an autonomous subsidiary of the Danske Bank Group, headquartered in Copenhagen.